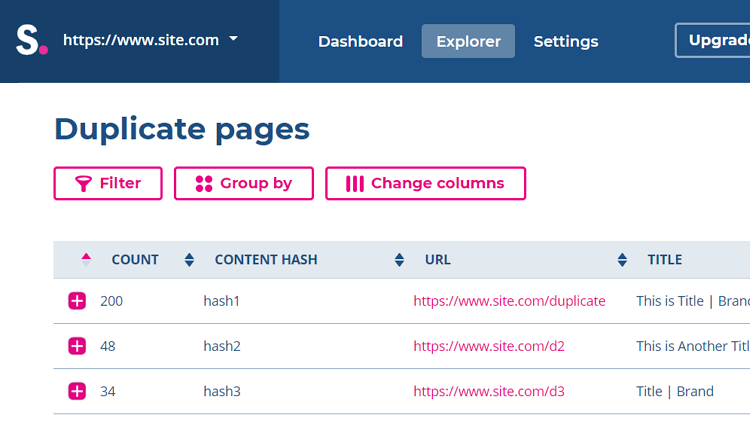 Find duplicate content on your site, error pages, wrong anchor texts, redirect chains and much more. For a well-processed SEO analysis, it is very important to get a full view of the entire site, not just one page. Spotibo offers a free SEO analysis, up to 500 web pages. Get the same data search engines do. Spotibo can check pages as Google, Bing or any other search engine. Work on the issues on your site with the most accurate data. If you find “error” in our automatic evaluation, we guarantee it is a 100% error. Potentially serious threats that need to be checked are referred to as “urgent warning”. There’s no “SEO score” or other inaccurate grading system. Find issues in title tags, meta descriptions, H1 - H6 tags or internal links. 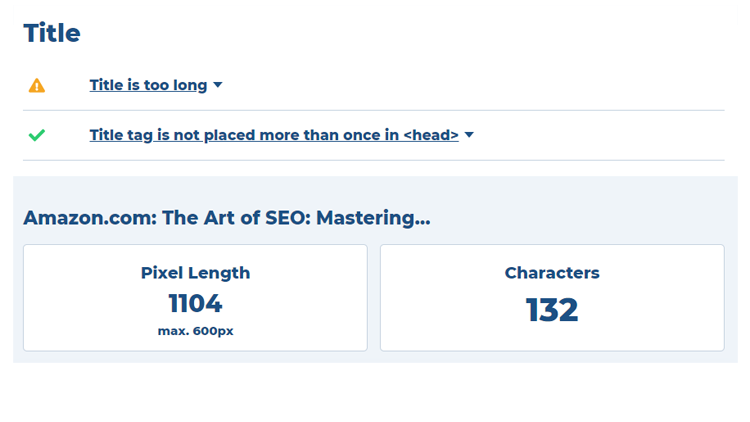 Our on-page SEO analysis tool is very precise; it checks title and meta description in pixels, not in the count of characters (which is less accurate). 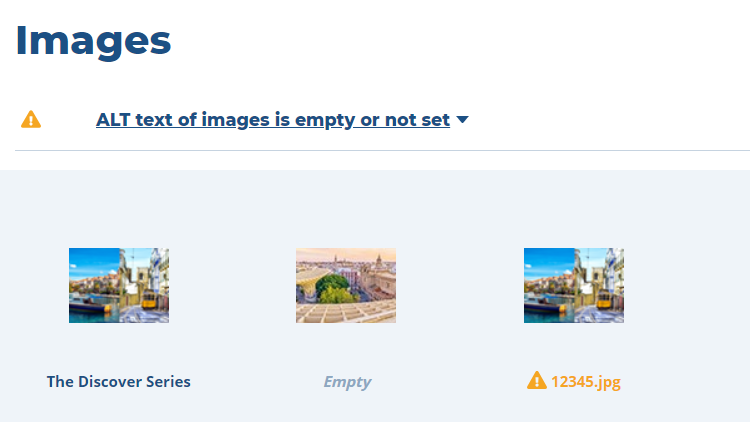 Don’t underrate the importance of image search. In addition to providing a warning about the missing alternative text, Spotibo also warns you about ALTs that are probably described wrong. This happens when an alternative text contains only a name such as “image”, “best-picture.jpg” or others. Know about crawling and indexing limitations on your site for each of the popular search engines. 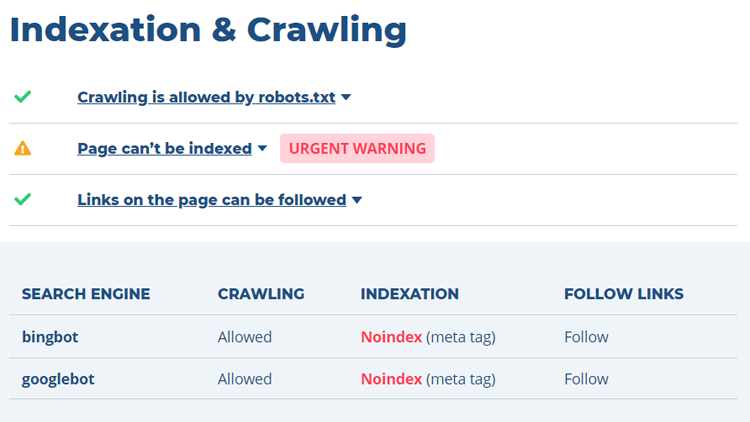 Spotibo checks robots.txt file, meta robots and x-robots-tag HTTP header, so you can see all crawling and indexing directives used on the site. 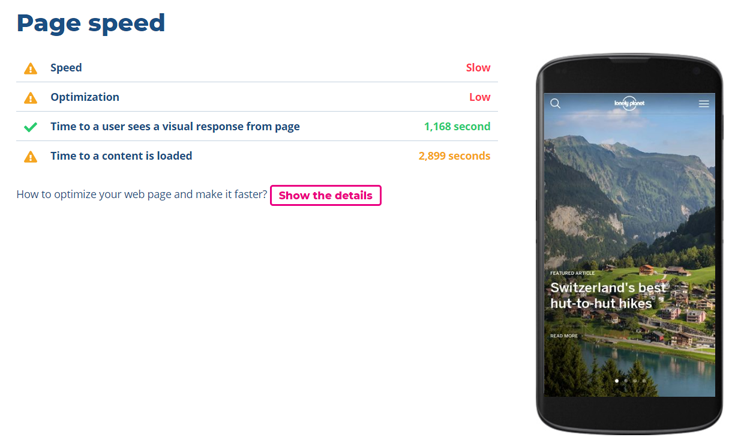 Get information about the time needed for content fetching or visual response loading. Spotibo uses Google data and recommendations about mobile usability and page speed. Check all options which might cause issues with your crawl budget or link juice distribution. Our SEO analysis tool will warn you in case Google or Bing ignores your canonical tags. 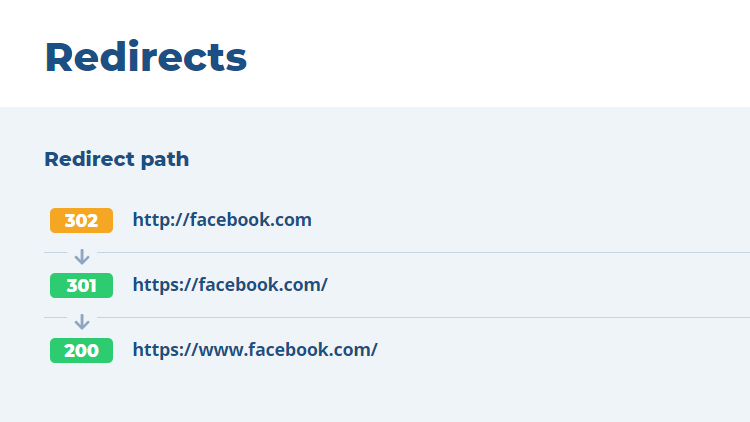 It tests URL variations with/without www, http vs. https, with/without slash at the end of URL and parameters switch. 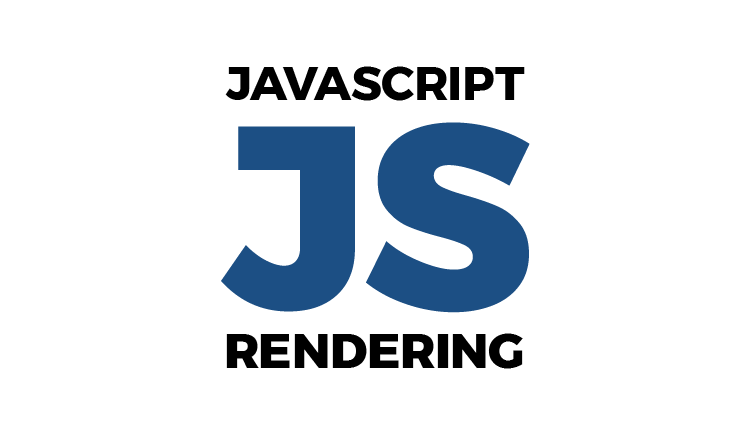 When targeting multiple regions, make precise hreflang review. Our Technical SEO auditor checks whether language mutations are defined correctly. 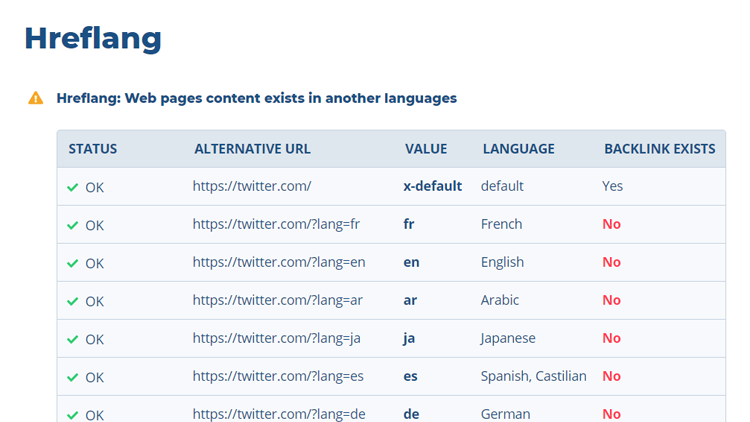 It notifies you when an error occurs on any other language or region site versions; warns if a page has no outbound links to alternative languages, other than hreflang. Find all issues regarding redirects. 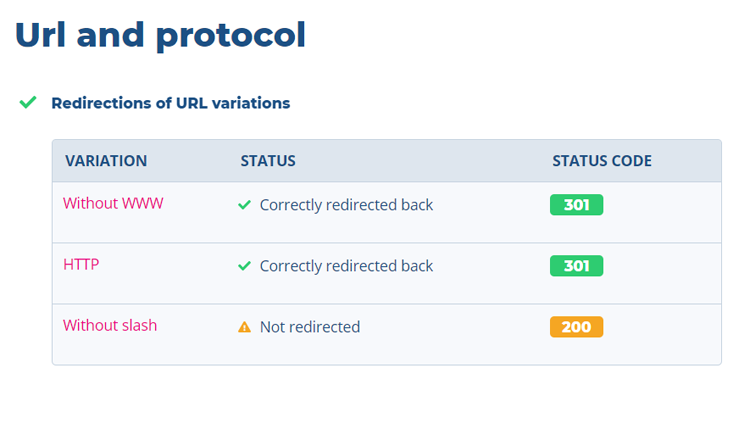 You will see if the analyzed URL was redirected, the length of the redirect chain and the final status code.